People who have never been overweight don't understand. Chronically thin people believe that losing weight is easy, just eat a little less every day for a while until you reach your goal weight. Of course, it isn't really that easy. Anyone who has battled their weight knows how hard it is to lose weight, and how much harder it is to keep the weight off once it is lost. Some recent medical research has looked at this and found some reasons. It turns out that our bodies work against us when we try to control our weight. Dr. Ryan, a researcher at the Pennington Biomedical Research Center in Louisiana studied the issues surrounding long-term weight management. She focused on the changes that our bodies go through when we diet. As soon as we cut back on our eating, our bodies make changes to prepare for a possible starvation that could be right around the corner. Our metabolism ramps down, allowing us to "idle" along burning fewer calories. Our bodies prepare for possible starvation because a hormone called leptin is produced in smaller quantities. Our fat cells produce this hormone, so as we initially shrink these fat cells, they produce less leptin. That signals our bodies to conserve energy produced from our food. At the same time, our brain receives more signals that trigger a hunger response. It is not imagined; when we are dieting we are hungry most of the time. That is a symptom of this increased messaging to our brain warning of impending starvation. These responses put people on diets at a double handicap. They are hungry all the time and the food that they eat is burned more slowly, compared to people who are not overweight. Dr. Ryan estimates that someone who has dropped from 230 pounds to 200 pounds must eat 300 to 500 calories a day less than someone who weighs the same 200 pounds (but has never weighed more) to remain at 200 pounds. That is an amazing difference. This body sabotage makes long term weight loss very difficult. To lose weight and keep it off means finding a diet that can last a lifetime. Fad diets, in addition to being amazingly hard on your nutrution, do more harm than good as the body puts the weight right back on after the diet is over. With the starvation mode running amok in the brain and metabolism, chances are good that the fad dieter will end up weighing more in six months than they did before the diet. That makes selecting a diet critical to success. The WannaBuddy diet recap is a good place to start your research. The other important factor beyond life-long dieting is remaining active. Just a half hour a day of moderate exercise can burn 400-500 calories. 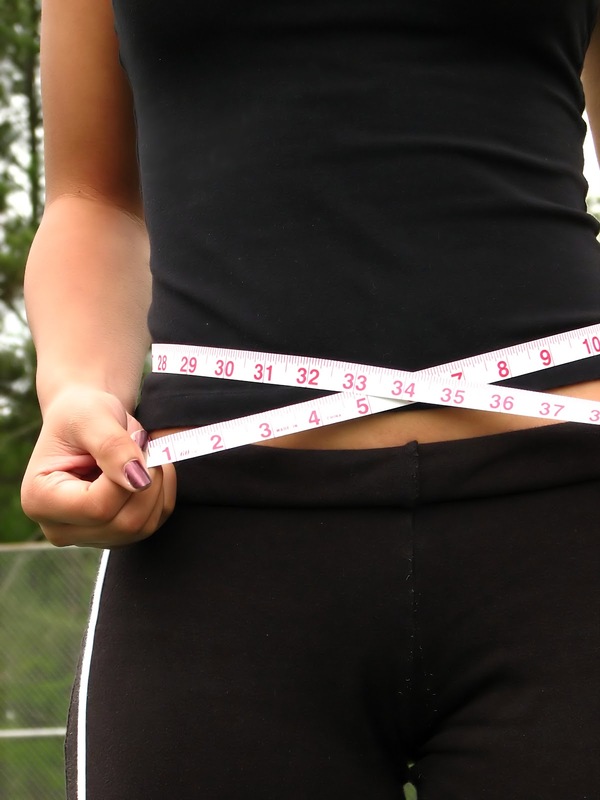 That can more than offset the "dieter's handicap" and help to keep those lost pounds off. 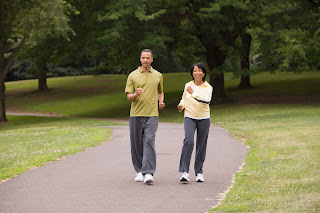 Just walking briskly is enough to kick-start our metabolism again. 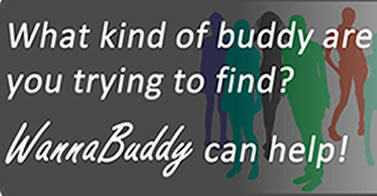 So, pick a sensible diet that fits your lifestyle, stay active and get yourself a diet buddy. Your good health awaits!